Thank you for organizing today’s important meeting on the promotion and protection of human rights. I would like to present the following points on the topic and its relevance for my delegation. 1. Promotion and protection of human rights is a constitutional obligation of the Government of Afghanistan and we are strongly committed to its full realization. Unfortunately, growing threats of terrorism and violent extremism continue to challenge the very principles of freedom and human rights in Afghanistan. 2. Despite continued security challenges, the people and Government of Afghanistan are determined to preserve the gains made over the past sixteen years. We are strongly motivated to build upon these gains by creating an environment where peace and security prevails, justice and rule of law is preserved, and human rights respected. 3. In this regard, we have developed a sustainable reform agenda for the country that incorporates good governance in all sectors, with promotion and protection of human rights at its core. On October 5th, at the Brussels Conference on Afghanistan, the Government of Afghanistan launched Afghanistan’s National Peace and Development Framework (ANPDF) which sets out Afghanistan’s Strategic Policy Priorities towards achieving self-reliance. ANPDF underscores the urgency of reducing poverty by creating employment and addressing widespread problems such as child malnutrition, access to education and healthcare, food insecurity, poor sanitation, and conflict related impoverishment, which intrinsically improves the overall situation of human rights in the country. 4. The issue of promotion and protection of human rights is one of the main pillars of our National Priority Programs (NPPs); further, women’s economic empowerment plays a crucial role in the successful implementation of our NPPs. In addition, Afghanistan has also launched its National Action Plan on the implementation of UNSCR 1325 on women, peace and security at the end of 2015. 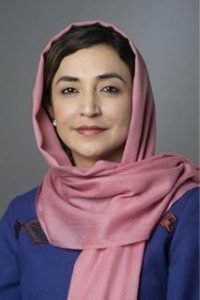 The Plan aims to increase women’s active participation in decision making across sectors, especially in executive levels of the civil service, access to healthcare and psychosocial support for survivors of sexual and domestic violence, improved education and employment opportunities, protection of women and girls from all types of violence and discrimination as well as women’s participation in the peace process and security sectors. 5. Afghanistan ranks number four in freedom of speech in our region. Recently, the Government of Afghanistan issued a new decree on Acceess to Information which would further strengthen our young democracy through promoting freedom of expression. 6. Corruption has impacted good governance and the rule of law in our country and to curb this menace, the Government of Afghanistan has strengthened anti-corruption measures and taken a number of concrete steps to improve access to justice, enhance transparency and accountability, and end the culture of impunity in our country. 7. Afghanistan has a come a long way in the past sixteen years. Since the fall of the Taliban, Afghanistan has achieved significant development towards realization of human rights values and principles. As a state party to core international human rights treaties and instruments, Afghanistan has successfully completed and submitted its reports, including the Universal Periodic Review (UPR). Moreover, the provisions of the conventions were also adopted in 10 legislations that were enacted within the past years. 8. Despite these achievements, multiple challenges persist today and we need to address them to protect and consolidate our gains in Afghanistan. In the past sixteen years, we have been committed to promoting and protecting human rights for all through effective international and regional cooperation. 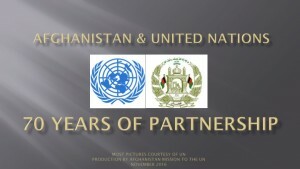 In order to amplify our voice in the global arena, ensure that past achievements are protected and new promises fulfilled, and share our experiences of promoting human rights as a country in the forefront of the international fight against terrorism and violent extremism, Afghanistan is a candidate for the Human Rights Council, and we would really appreciate your support in our endeavour.